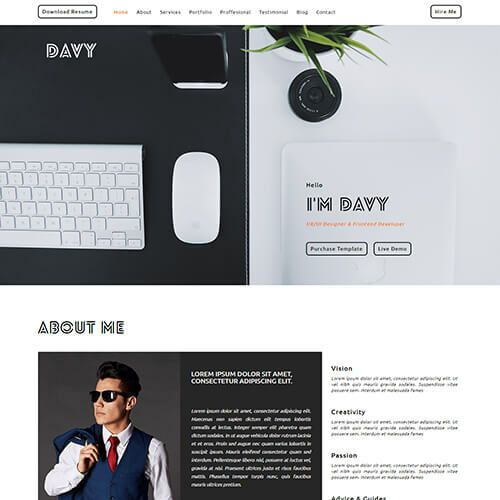 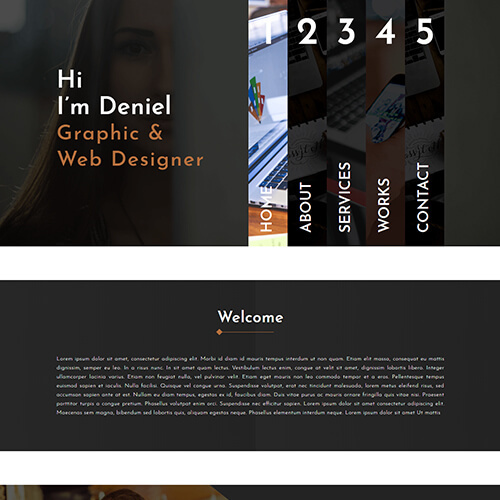 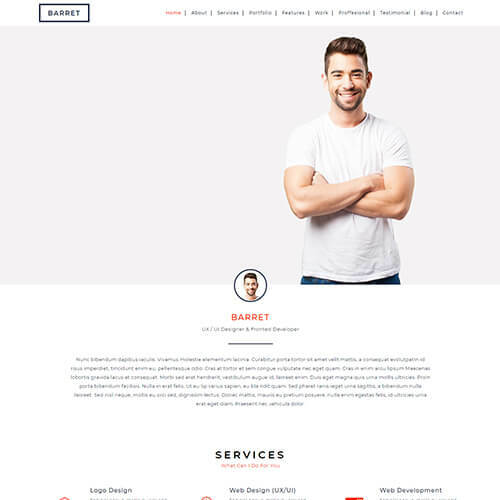 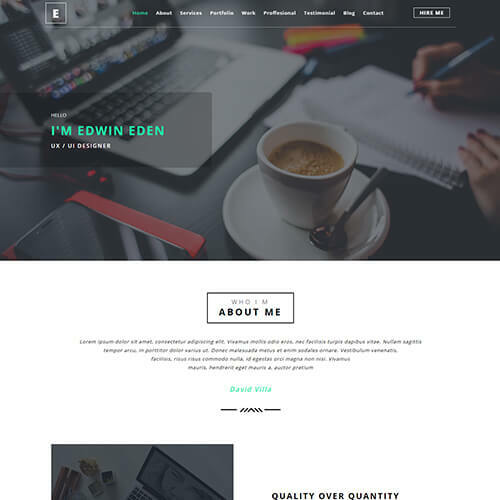 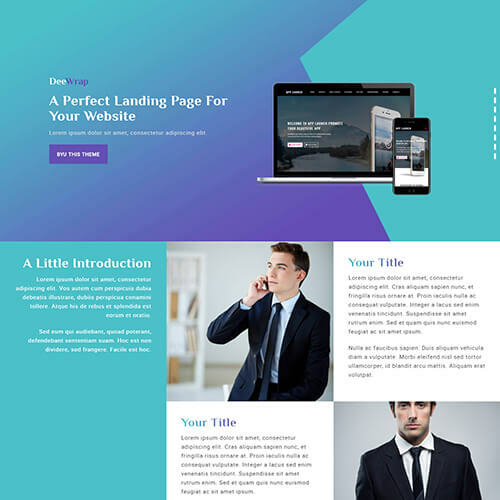 Davy-Del, a portfolio website HTML template is specially designed for professionals to build their online presence and put your work experinces in front of your followers and let them know about what work you have done and what achievement you gain. 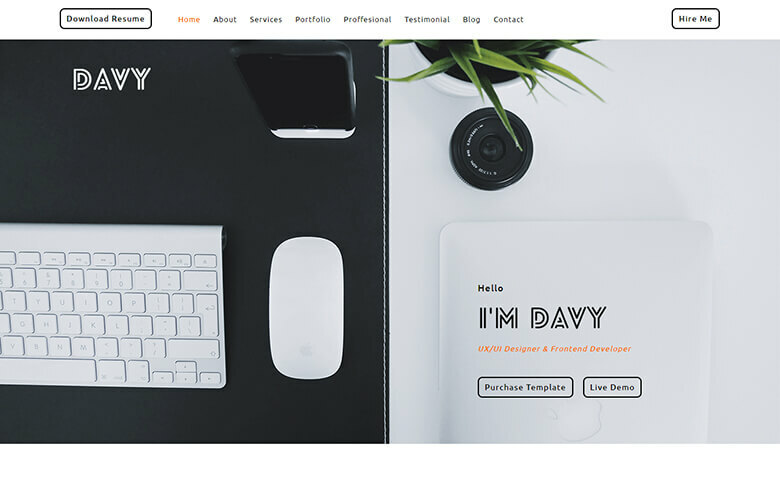 The template comes with the features like unique design, catchy hover effects, pretty typography, project details, easy counter to let your user know about your projects, testimonial section for the customer feedback, blog for latest updates, simple contact form etc. 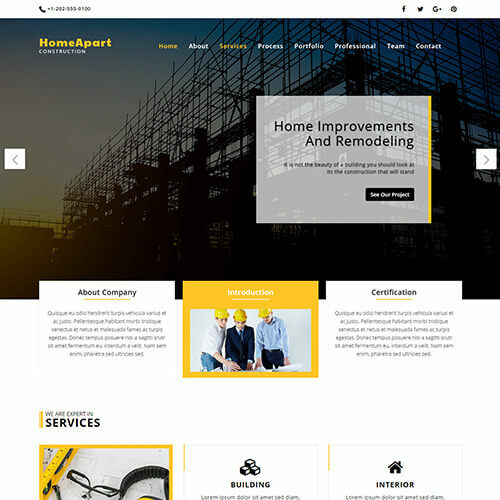 It has an impressive block to showcase the services with some short glimpse of what it provides. 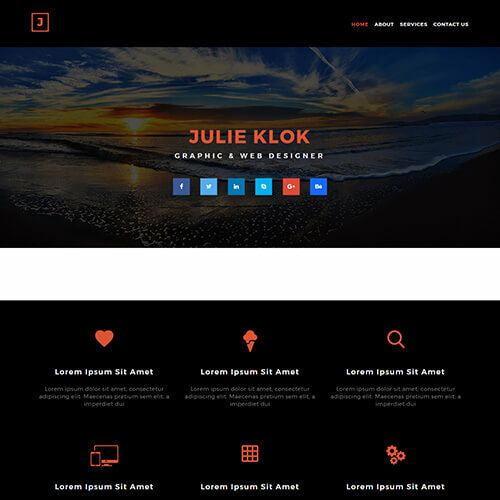 The template is responsive and compatible with any screen size or resolution. 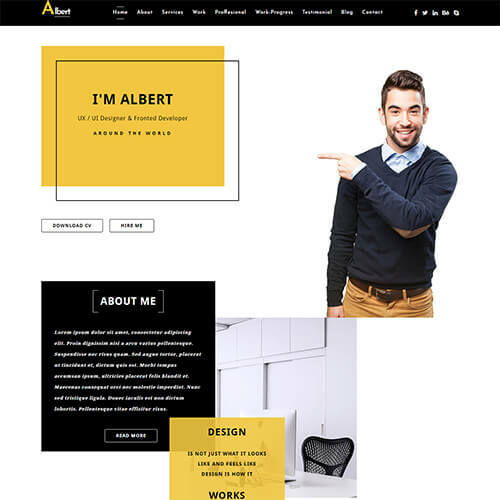 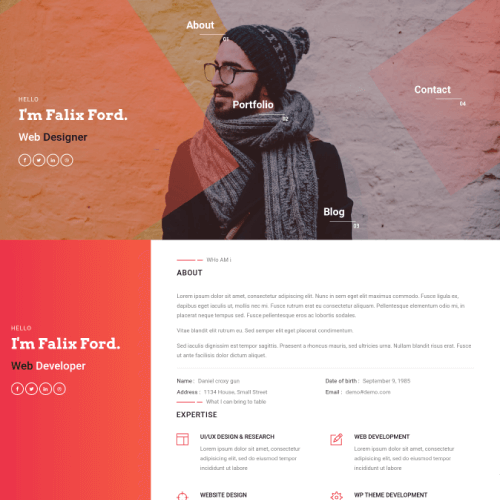 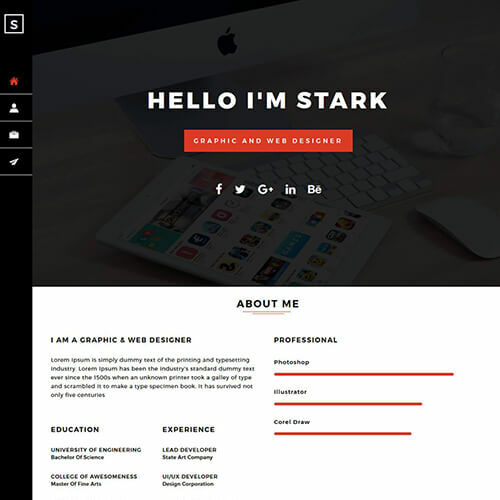 This clean designed simple portfolio template has a classy professional look with image background. 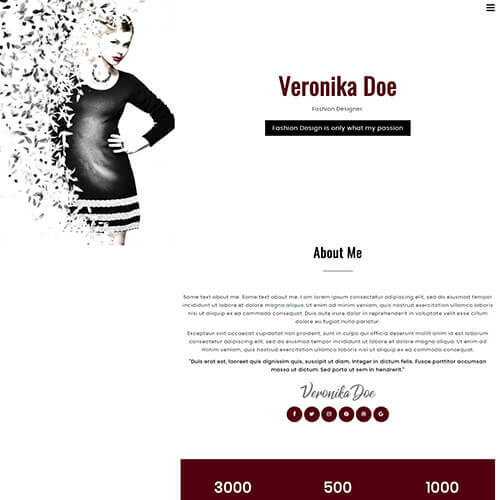 It can be used to start your own portfolio website. 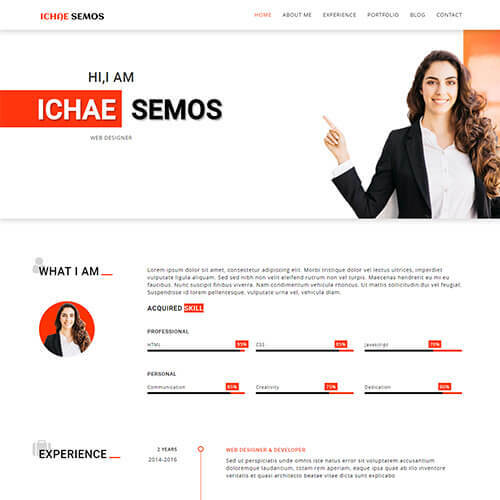 Check the demo for better understanding.